To us, there’s nothing better than seeing a family with bright, beautiful smiles. Think about family pictures throughout the years. 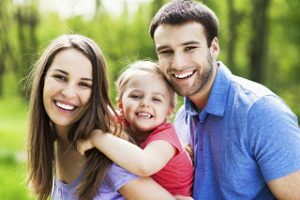 You want you and your family’s smiles to stay beautiful throughout your lives, and the best way to maintain a great smile is by keeping Dr. Santos, Dr. Folck and the rest of the Smile By Design team as part of your dental family. Our general dentistry services are here to help your mouths stay strong, clean and, most importantly, healthy. Unhealthy mouths can lead to a multitude of problems down the road that could be very expensive and time consuming. With comfortable, comprehensive dental care within your reach, why wouldn’t you want to treat your family’s mouths to a dental team that has their care at the top of their minds? Our Virginia Beach, VA office is ready to treat your family with the utmost care. When you talk about general dentistry, you have to be specific. It includes a wide variety of topics and services that are intricate in their own ways. The goal of general dentistry is to provide a basic form of dental care that keeps your mouth healthy. One of the main components of general dentistry just so happens to be one of the most preventive; general checkups. Checkups are very important, as it gives us the very first look at what’s going on inside your mouth. It’s important to know that just because you don’t see anything wrong with your teeth in the mirror doesn’t mean there isn’t anything wrong. This isn’t to scare you, it’s just the truth. You can’t turn your head around like an owl or bend your head back far enough to see every part of your teeth. That’s why we’re here; we do the hard work for you. Think of us like your extra pair of eyes that work to keep your mouth as healthy as possible. If there’s a cavity in there that you can’t see, we’ll be able to catch it. Depending on your dental situation, each or all of these could be in your immediate future. It’s up to you and our dental team to decide which treatment (if any) is recommended. Our team is here for you. Anything you need, we can deliver. To experience the best dental treatment in Virginia Beach, VA, give our dental expertise a shot. We gladly extend our general dentistry services to our neighbors in Lynnwood, Norfolk, Portsmouth, Salem, Chesapeake and beyond.